Water Heater Repair in Vancouver Washington. Many different problems can affect your water heater. If your unit breaks down, it can cause you to lose hot water throughout your home. Are you in the market for a new water heater? Or maybe you’re looking to get your current one repaired. Our plumbers are familiar with all brands and models of heaters, and we’ll also recommend the most efficient one for your family’s needs. Rays Plumbing Service provides expert water heater repair and installation services in Vancouver, WA and Portland, OR. Having some basic water heater services performed will help you isolate any problems before they become major issues. Should you notice any rust spots forming, or if you notice rust-colored water coming out of the faucet, these are strong signs that your water heater is failing. It’s best to contact your plumber as soon as possible. Let us know any issues you might have noticed with your water heater. You may even have a notice from the manufacturer that will tell you when you should have some parts replaced on the water heater. If you can provide us with this information, we will be able to more accurately inspect your unit and determine the proper solution for repair. Should you neglect or delay any repair on your water heater, further problems can occur. 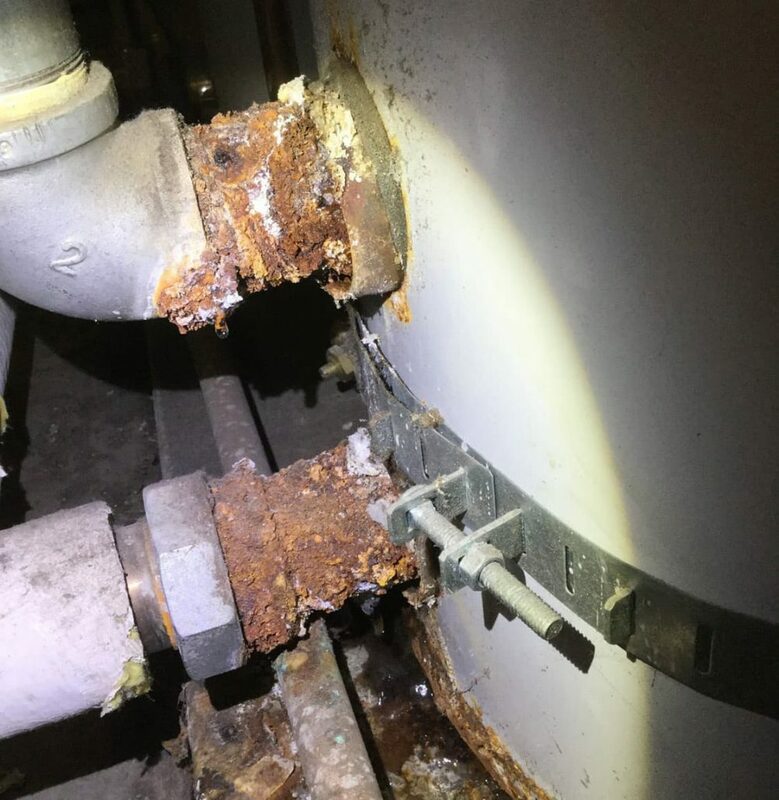 Your water heater could begin leaking, causing rusted areas to grow bigger. The rust may then continue to grow into your water supply and even put your health at risk. Leaks in your water heater can also lead to mold growth. You can prevent all of this by getting professional water heater repair services. Our plumbing technicians will help salvage your water heater, or replace it with a newer model if it is beyond repair.